Five Brands. One Owner. One Vision. 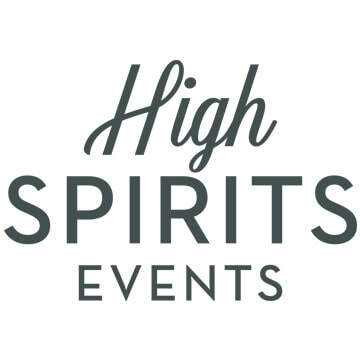 High Spirits Hospitality the parent company to Liquid Catering, The Old Cigar Warehouse, Bravo1 Protection and High Spirits Events, as well as the management company over Topside Pool Club. We started out as a small bartending company working out of our owner's garage, and have grown into a sustainable business with 18 full-time employees and over 70 part-time employees. All of our brands are unique and serve a different purpose, but we operate all of them with the vision of providing exceptional, hospitality-driven service for each and every guest and client we encounter. I grew up with an entrepreneurial bug. The oldest of four growing up in Texas, I started developing my leadership skills at a very early age. I played every sport imaginable, organized neighborhood plays and was even a Teen Court Judge. When I was 12 my aunt opened a gift shop on the Outer Banks of North Carolina. I begged my parents to let me go visit for 2 weeks the first summer so I could see what it was all about. Two weeks was all it took to get me hooked and fall in love with the idea of opening my own business. Every summer I would fly out to the Outer Banks and work in her shop. Each summer I was given more and more responsibility. I'm not sure why, but my aunt trusted me with ordering merchandise, hiring staff and I even did some minor bookkeeping. ​By the time I was 17 I had moved out to the beach year-round, and kept doing more and more. I eventually moved back to Texas and my aunts sold the shops, but I never stopped pushing myself forward. I bounced all over the country, living in Charleston, Alaska and Hawaii, working various hospitality-related jobs. I finally found my way to Greenville in 2009 and started working for Sticky Fingers as their Marketing and Catering Sales Manager. By the end of 2010 I was loving my job, but tired of working 60-80 hours a week for a corporate giant with no say in how the business should be run. I knew I always wanted to own my own business, I just never knew exactly what that should be. The idea of a bar only catering company seemed like a great one. I always loved bartending and logistics, I had the network and the sales experience, why not? For four months I did my research, I typed up plans and I crunched the numbers. 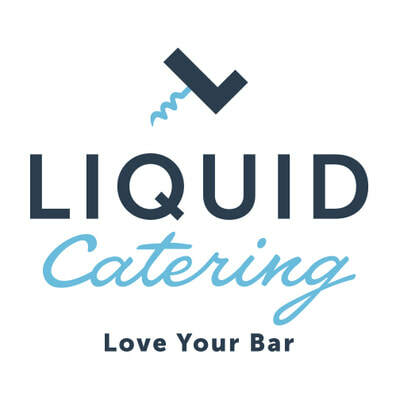 On January 4, 2011, I officially filed the LLC for Liquid Catering to be formed. I thought things would build up slowly, so I kept my job and killed myself working 90-100 hours a week. Word spread fast about what I was doing and the phone started ringing quickly. Within a few months we had bartended for Greenville Health System, Southwest Airlines and the Greenville Chamber. I took a deep breath, quit my job and haven't looked back. The first year were tough, but amazing. I did everything for the business, I answered every phone call, did all the shopping and worked all the events myself. We worked out of my garage, storing all the product in my basement. I didn't have a vehicle, so my Toyota Highlander carried A LOT of cases of beer. I didn't have an ice machine so I knew the route to Twice the Ice by heart. I'm still amazed at how many great employees I hired off craigslist and that they trusted this random young girl to pay them after events. In spring of 2012 I took an even bigger leap of faith and signed a lease for an office/warehouse space on Broad Street. I hired an Operations Manager and two interns so I wouldn't be lonely. That building is still our home today even though we have filled every inch of space and have 12 desks. We bought our first cargo van, a dishwasher and even an ice machine! By the end of 2012 things were going so great for Liquid Catering, I started to get the entrepreneurial itch again and started to look for another opportunity. Once again, I didn't know quite what I wanted to do, just that I loved events and wanted to expand my business. I ran across The Old Cigar Warehouse when the owners were trying to get a venue started, but they realized they didn't have the time to do it. I instantly saw the potential, turned in an offer, and we started construction in February of 2013. We were fully open in August and have since grown into one of the busiest event venues in the Upstate. With that expansion we have just kept adding more people and staying busier than ever! With the venue came a need for finding experienced, hospitable security guards. Unfortunately, I had a really hard time finding a security company that I could trust to represent us and do a great job. We had consistent issues with guards no showing up, being rude to our guests and just in general not doing their job. After I fired the third company I just decided that if no one else could do it, I'd start my own company. I hired some of the best operational managers I could find, and Bravo1 Protection was born in 2014. Since then Bravo1 has been taking place as the best security company in the Upstate, specializing in events, concerts and festivals. We have been privileged to provide security for Euphoria, Fall For Greenville and Heritage Park, just to name a few. In 2017 we officially launched High Spirits Events, who produced an incredibly successful Tacos 'n Tequila Fiesta. We also oversaw the opening of Topside Pool Club, a private membership social club located 7 stories above Falls Park. Towards the end of 2017 we realized we had outgrown our home on Broad Street and relocated to a much bigger office on McDaniel Avenue. Now that we have five brands, we continue to grow each and every day. I'm on the look-out for a couple new projects, and who knows where we could be at this time next year!